Nick Dougherty and Andrew Coltart reflect on the key moments from the third round in Turkey as Haotong Li vaulted three clear while Justin Rose faltered. 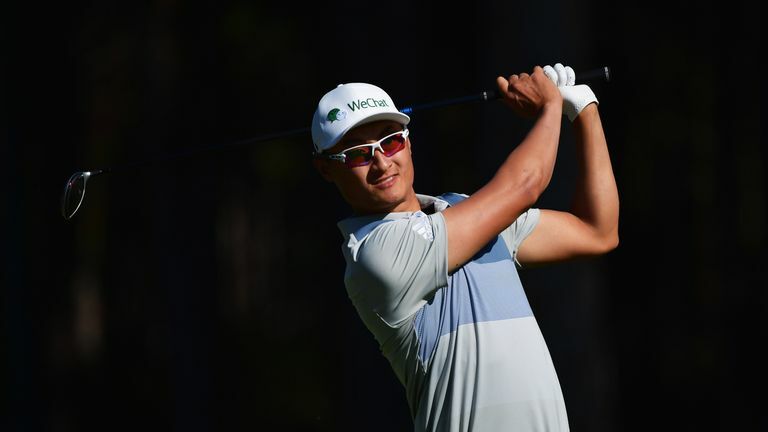 Haotong Li vaulted into a three-shot lead at the Turkish Airlines Open as Justin Rose's hopes of retaining his title were hit by a series of uncharacteristic errors on day three. Haotong carded an impressive eight-under 63 in near-perfect conditions at the Regnum Carya Golf & Spa Resort in Antalya, racing to the turn in just 29 blows before producing the shot of the day at the 10th, a stunning second from the rough which bounded past the pin and rolled back down the slope and straight into the cup for an eagle-two. 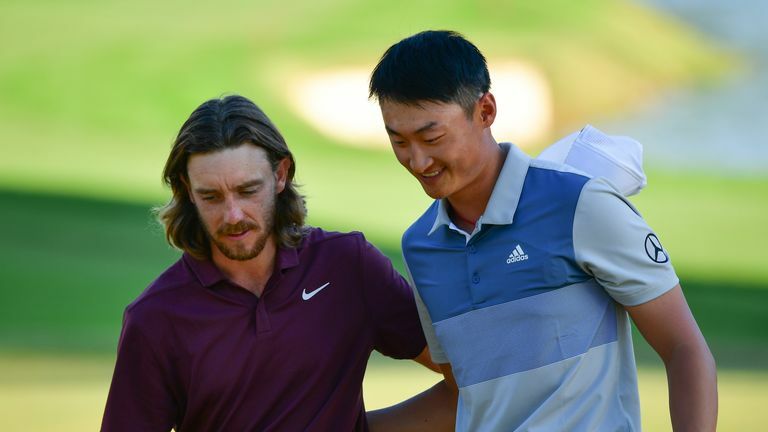 The Chinese ace kept a bogey off his scorecard to close on 17 under and three clear of Alexander Levy and Rose, whose bid to regain the world No 1 ranking faltered when he found water three times on the back nine as he fired a disappointing 69. Rose, who can top the rankings again with a win on Sunday, remains one ahead of Ryder Cup team-mate Thorbjorn Olesen, the champion here in 2016, while Danny Willett and Sam Horsfield go into the final round a further stroke off the pace, with Tommy Fleetwood six behind on 11 under. But the third day belonged to Haotong, whose stellar approach play set up a birdie at the first and three in a row from the fourth before he chipped in for his fifth gain of the round at the ninth. His drive at the tough 10th leaked into the rough on the right, but he made great contact with his bold second and was rewarded when his ball rolled into the rear fringe, caught the slope and arced perfectly into the middle of the cup for a superb two. Haotong Li reflects on his superb third-round 63, including a spectacular eagle-two at the 10th, as he vaulted into a three-shot lead at the Turkish Airlines Open. Haotong added another birdie at the long 12th, and the 23-year-old parred the final six holes to stay at 17 under and in prime position to claim his second European Tour title of the year, and his first since holding off Rory McIlroy at the Omega Dubai Desert Classic back in January. Levy compiled a solid five-birdie 66 to reach 14 under, while Rose offset six birdies with four bogeys as he relinquished his overnight lead with a number of misjudgements despite getting off to a great start with three consecutive birdies from the fourth. But Rose's run came to an abrupt halt when he three-putted the seventh to run up a bogey-six, although he got the shot back with a precise approach to six feet at the ninth which he converted to turn in 31. The Englishman then came up short with his second from the trees at the 10th and found the hazard and, after he hit back with birdies at 11 and 12, he endured bunker trouble at the 13th which cost him his third bogey of the day. Rose managed to scramble a par at the long 15th after knocking his second into the water, but he was unable to avoid another dropped shot at the last after pulling his five-wood off the tee into the hazard on the left. Olesen will be looking to put the pressure on the leader with a fast start on Sunday after a 68 left the Dane four shots adrift of Haotong, while Horsfield (68) and Willett (69) are a further shot off the pace. Fleetwood birdied two of the last four holes to salvage a 68 which left him in a tie for seventh with Thomas Aiken, while September's Portugal Masters champion Tom Lewis slid seven places down the leaderboard after an erratic 71.